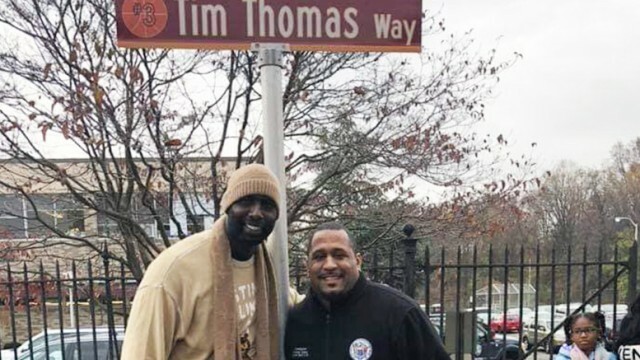 The street outside of the former Paterson Catholic High School has been renamed to Tim Thomas Way in tribute to the retired basketball star. The City Council appointed Al Abdelaziz, vice chairman of the Paterson Democrats, to fill the 6th Ward seat vacated by mayor Andre Sayegh on Tuesday night, breaking away with recent custom not to appoint anyone seeking the seat long-term through election. After years of unwillingness to appoint an ambitious candidate to fill a vacant seat on the governing body, the City Council may break with custom to fill the 6th Ward seat vacated by mayor Andre Sayegh. The city has to pay $563,042 more for Medicare advantage plan insurance for retirees over 65 years of age due to a miscalculation, according to municipal government officials. The city has agreed to pay $9,275 to cover councilmen William McKoy and Andre Sayegh’s legal bills incurred in defending themselves against the criminal charges filed by Sirrano Keith Baldeo, publisher of the New Jersey Pulse newspaper. Three months after voting down the downtown Paterson special improvement district budget, the City Council on Tuesday night reversed its position. In a 4-2-1 vote, council members approved the $304,000 budget. Outgoing councilman Kenneth Morris has been recognized with the 2018 New Jersey State Governor’s Jefferson Award for public service and volunteerism.